Through the haze of my cornstarch hangover, I’m re-evaluating what I believed to be true about take-out from Chinese restaurants. Leakage is virtually inevitable in transit. TRUE. You might have a favorite place, but all take-out will taste basically the same by the time whatever you ordered was boxed and bagged, stuck on the counter, tipped in the car and finally opened at home. FALSE. 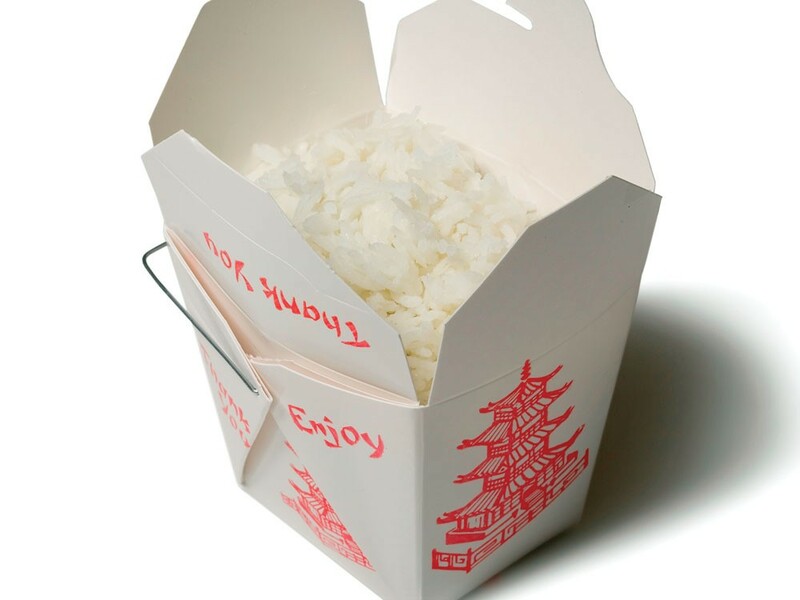 Restaurants automatically include chopsticks, forks and napkins with take-out. FALSE. A soggy fortune cookie is a bad omen. TRUE. No one uses MSG anymore. AS IF. Midget corn and water chestnuts are required components of any Asian vegetarian entrée. FALSE. Rice will be provided in a reasonable proportion to the other food ordered. FALSE. Closer to true: either a) none or b) enough for a food drop over Pakistan. Most restaurants work from the same general recipe for classic dishes like Kung Pao. ABSOLUTELY FALSE. The plan was simple: (A) two entrées from five different Chinese restaurants, based on good buzz and geographic diversity. ( The first dish would be a classic (Kung Pao beef) and the second would be the “best” vegetarian dish in each place as determined by the person answering the phone. (C) Five critics picking up the food and converging on Inlander HQ at the same time. And (D) scoring would be based on taste, appearance and overall impressions of each dish with additional points awarded based on service and the state of the restaurant at the time of pick-up. Who would be eating? The arts editor with a marked preference for thick sauces. The new vegetarian with an aversion to slimy tofu. The waitress of 11 years (who moonlights with a restaurant job). The staff writer with a curious fixation on peanuts. And the table-weary critic, yours truly, with a People’s Republic of China stamp in his passport. Making the cut for the Kung Pao Smackdown were Ming Wah (downtown), King Yen (near north side), China Garden (South Hill), King’s (Valley), and Ding How (Liberty Lake). Each place was chosen for geographic diversity and positive buzz. It is quite possible this list doesn’t include your favorite spot. Let us know and we might include them next time we gather sufficient determination to dive again into this greasy, delicious process. But that might be a while. Every place had something great, but the full impact of plowing through 10 hefty cartons for a deadline is a hit for even the most optimistic eater. 1332 N. Liberty Lake Rd. The waitstaff provided the best service of the night, and Ming Wah gets kudos for being the only restaurant to use the iconic red-and-white take-out boxes rather than the depressing Styrofoam clamshells used by everyone else. Ming Wah also scores with the best (and redundant) vegetarian dish title: meatless tofu with vegetables. Kung Pao quote: “Thick, spicy, smoky, sweet sauce.” Meatless Tofu quotes: “Good sauce flavor.” “Slimy tofu!" The overall winner, by a bamboo shoot, was Liberty Lake’s Ding How, with its brilliant Kung Pao beef and an excellent vegetable deluxe. A mere point-and-a-half back is the South Hill’s China Garden, with the best overall vegetarian dish, braised tofu. The warm and earnest service at Ming Wah stood out, the beef at King Yen was thinly sliced and the chef at King’s waited until our critic arrived to fire the dishes to ensure they were not sitting too long. Fortune Cookie Footnote: Authenticity in fortune cookies is something of a misnomer, since they were invented in San Francisco’s Chinatown for tourists. Yet even a stale fortune cookie offers a fun and occasionally hilarious end to an evening of take-out. Sauce slop in the bag can be disastrous for unprotected cookies, but even then the vague proverbs or predictions can provide a conversational lifeline for a date going down in flames. If you end up ordering some great take-out from Ding How or China Garden, that last prediction just might be true. Chinese food in the Panhandle? Yeah, right. Maybe half a dozen, not counting fast food and Bonsai Bistro, the high-end, pan-Asian place owned by the Resort, nor Top of China, although their cheese mussels are outtathis-world. Completely undemocratically, we chose the ones closest to where we live: Wah Hing (15512 N. Hwy. 41) from Rathdrum, and Chinese Gardens (310 N. Fourth St.) from Mr. Meat-and-Potatoes’ Coeur d’Alene. Both served Buddha’s Delight, an all-veggie mix with a bit of pepper kick. Wah Hing’s portion exceeded Chinese Gardens by almost 25 percent and the veggies were huge chunks of tofu, pepper, mushroom and corn. Chinese Gardens shreds their veggies in this dish to the point that they’re unidentifiable, but they taste like cabbage, onion and the occasional snow pea. The real difference was taste. While neither had the freshveggie look or feel, Chinese Gardens made up for that with hotter-than-Hades spices and wicked vinegar. After the fire department left, we realized that rice helped soak up some of the heat but for us; Wah Hing won out for sheer lack of pain. Given the heat of Chinese Gardens’ veggie dish, we were timid about their Kung Pao beef, ordered mild from both restaurants. But our worries were for naught: The pow in this Kung Pao was reasonable. Lots of meat, very tender and bathed in a rich brown sauce with huge chunks of corn and sweet pepper. Wah Hing’s dish paled in comparison, with itty-bitty pieces of grayish meat outnumbered by an army of celery and onion, though the sauce provided good flavor and feistiness. The meal prices were comparable: $19.62 for Chinese Gardens and $20.62 for Wah Hing, the extra buck for two portions of soup.